Turn your phone into a mouse and keyboard for your computer! Have a Home Theater PC? Having a extra keyboard and mouse attached to it can be cumbersome and annoying. With Touch Board you can use your phone as a keyboard / mouse! The touch screen on the WebOS Device becomes a touch pad for input to your Windows PC. 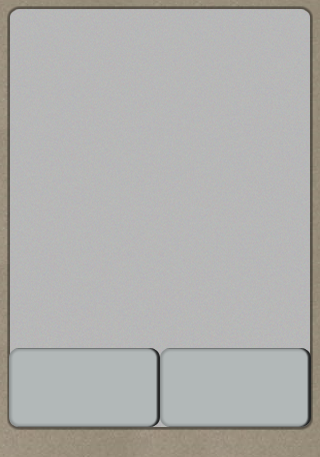 Works exactly as you would expect, move your finger around the screen to move the mouse, tap the screen to click. Double tap to double click. The buttons at the bottom of the screen control left and right mouse clicks. The phone keyboard will send keystrokes. A Mac / Linux version is under development. Lite version is free and requires use of Remote Server installed on PC that can be found on the Deep Thought Software Homepage Lite version is free but limited to only Mouse movement and left mouse clicks. A Full donation supported version is available via the Deep Thought software homepage. Full version supports keyboard and right mouse click.